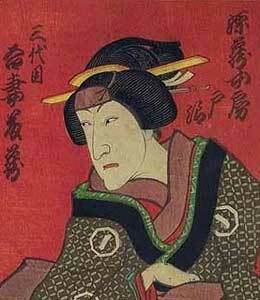 Born in Edo in 1665. His father was the master of a shibai jaya and his brother was the playwright Nakamura Seishichi. He started his career in Edo miyaji shibai, performing under the name of Azuma Tôjirô. 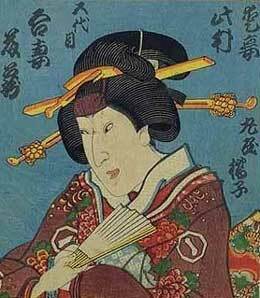 He became dôkegata and took the name of Azuma Tôzô I in the 11th lunar month of 1707, performing a yakko role in the kaomise drama "Hachinoki Ôkagami". He changed the writing of his family name in 1710, using one ideogram instead of two. His last kaomise occurred in the 11th lunar month of 1715, when he played the role of Sorori Yogorô at the Ichimuraza in the drama "Banzei Onna Hachinoki". 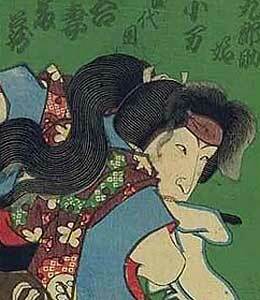 He made his last stage appearance in the same theater in the 2nd lunar month of 1716 and died in Edo the 5th of the 9th lunar month of 1716. As a master of dance, he was the 1st iemoto of the Azuma-ryû, the Azuma school of dance, which still exists nowadays. The actor Azuma Tôzô II held this name from the 11th lunar month of 1730 to the 10th lunar month of 1747, then a second time from the 11th lunar month of 1748 to the 10th lunar month of 1756, and finally from the 11th lunar month of 1760 to the 4th lunar month of 1776. The actor Azuma Tôzô III held this name from the 11th lunar month of 1779 to the 6th lunar month of 1798. 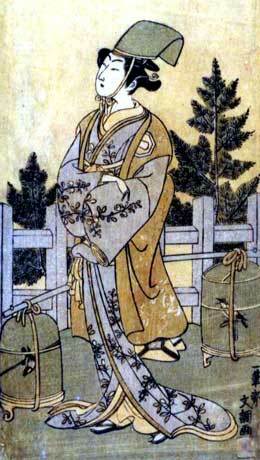 A minor Kamigata actor held the name of Azuma Tôzô from 1790 to 1801. The actor Nakamura Shikaku held the name of Azuma Tôzô IV from the 11th lunar month of 1810 to the 2nd lunar month of 1830. The actor Azuma Ichinojô I held the name of Azuma Tôzô V from 1843 to 1851. Dates of birth and death unknown. Son of Arashi Rishô II and brother of Arashi Emitarô, his first stage name was Arashi Emisaburô. He took the name of Azuma Tôzô VI in December 1891 at the newly-rebuilt Harukiza. He was active in koshibai during the 1890s. Last-recorded performance in Spring 1898. Born the 27th of November 1904. He was the son of the actor Ichikawa Ennojô III. He started his career in January 1914, in Tôkyô at the Tôkyôza, where he received the name of Ichikawa Ennojô IV. He took the name of Azuma Tôzô VII in 1917 and was active up to his death the 8th of October 1930.